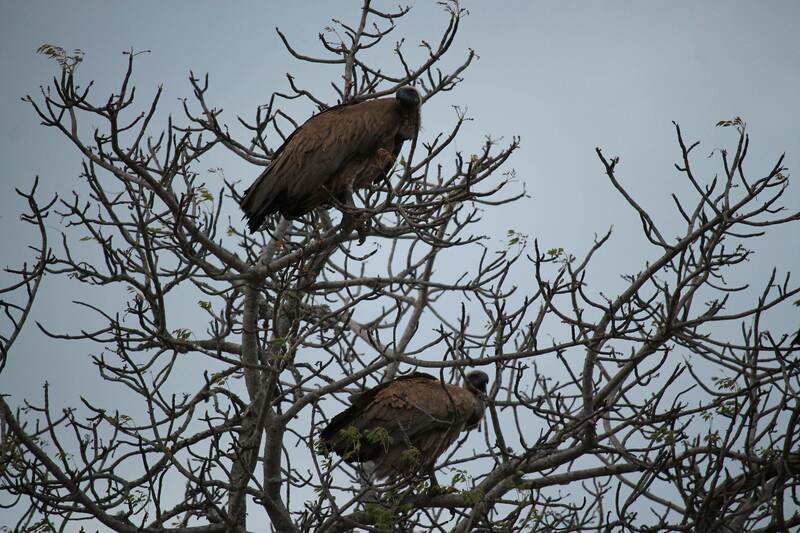 Here’s the second batch of photos taken by Rachel Wilmoth on a trip to Kruger National Park last October (first batch of photos here). Her notes and IDs are indented; some creatures are unidentified and readers are invited to give their take. 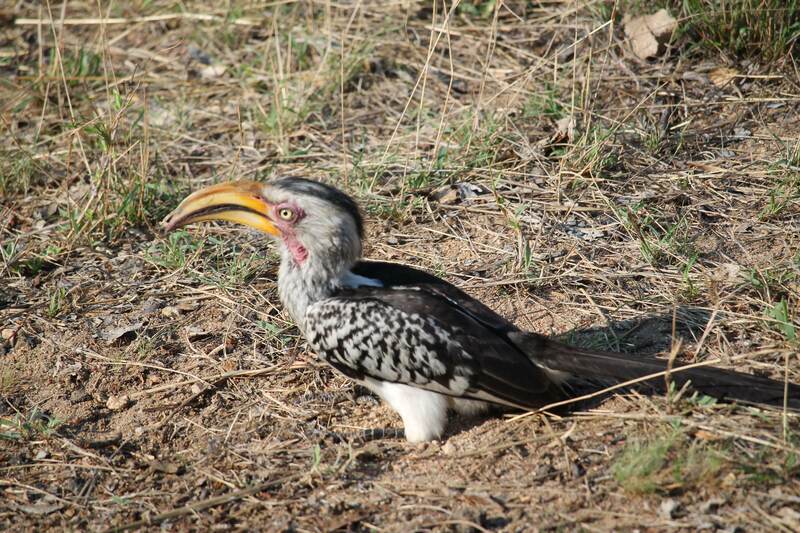 Southern yellow-billed hornbill (Tockus leucomela). 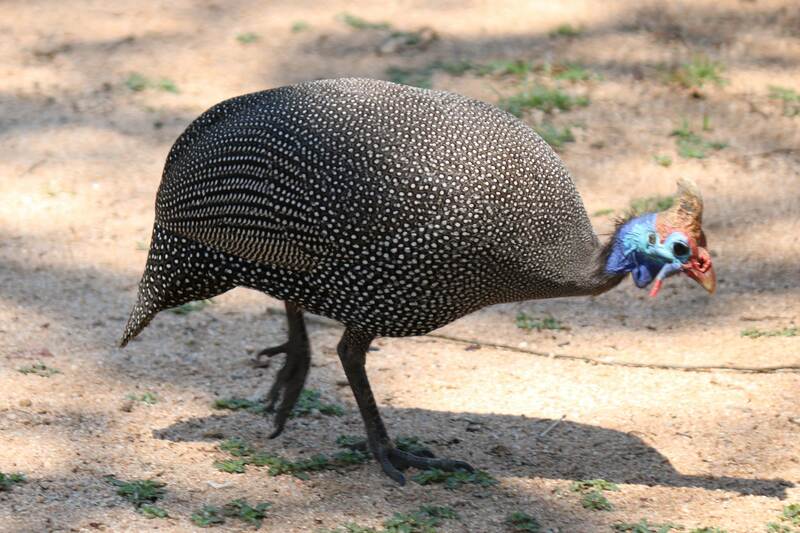 Helmeted guinea fowl (Numida meleagris). These were all over our campsite. 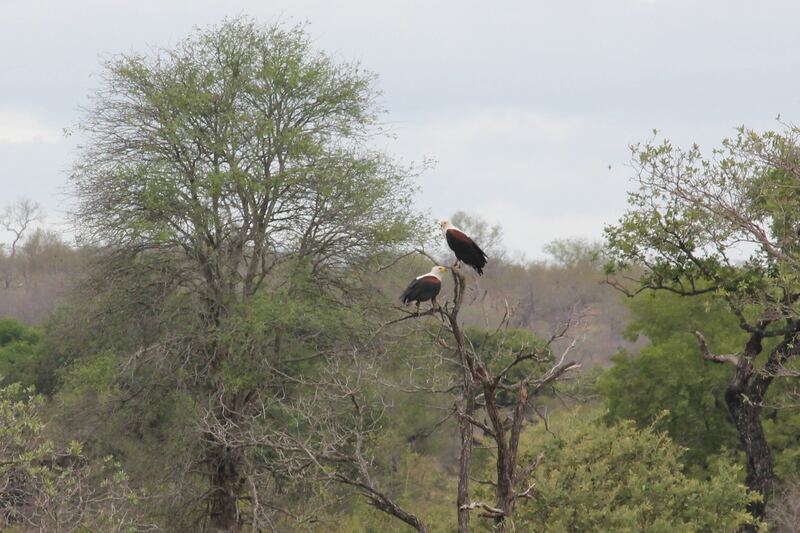 Two African fish eagles (Haliaeetus vocifer) in a tree. 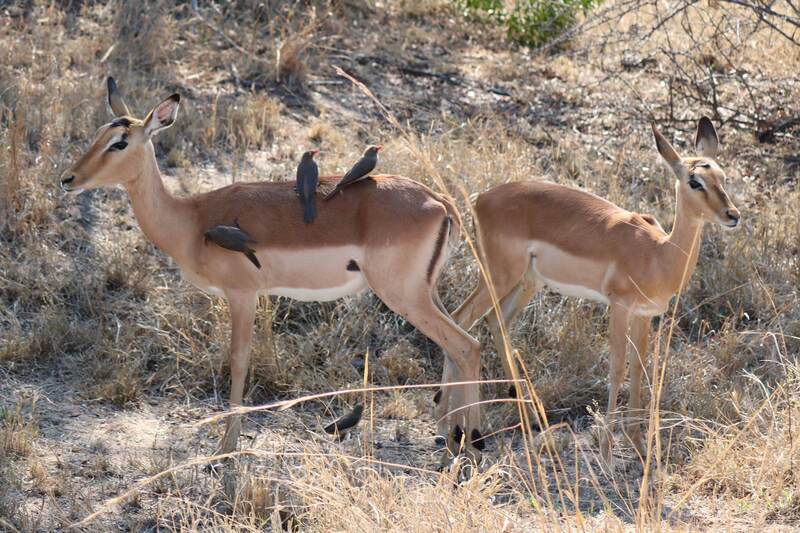 Redbilled oxpeckers (Buphagus erythrorhynchus) on impalas (Aepyceros melampus). (We also saw these birds on a rhino and giraffe). The rest I leave to other readers more knowledgeable than myself to identify. A beautiful small rainbow-colored bird. A black and white bird. And a black bird with red head. This entry was written by whyevolutionistrue and posted on January 27, 2019 at 7:45 am and filed under birds, book reviews, photography. Bookmark the permalink. Follow any comments here with the RSS feed for this post. Both comments and trackbacks are currently closed. The red head black bird looks to be a Bucorvus leadbeateri. The vultures are hard to figure based on that view (at least for me). 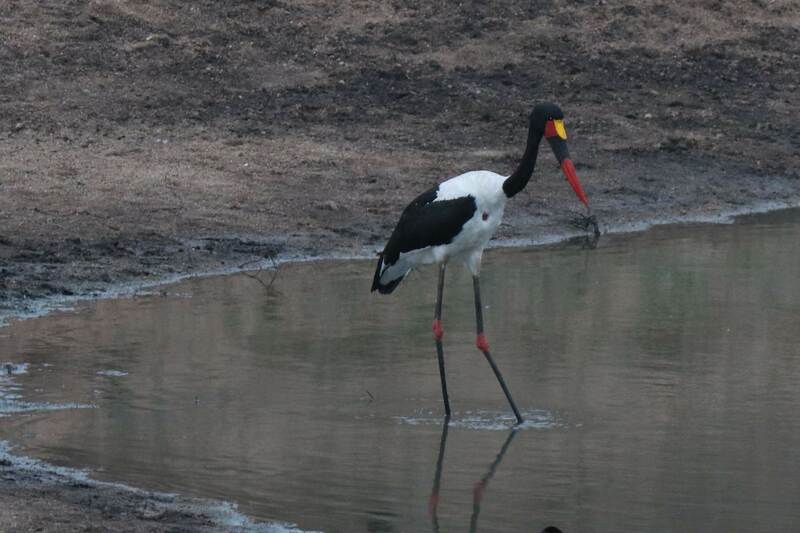 But the rest are saddle-billed stork (female), lilac-breasted roller, blacksmith plover, martial eagle (? ), and southern ground hornbill. I’m curious as to whether anyone can see this. yep, your comments are visible. 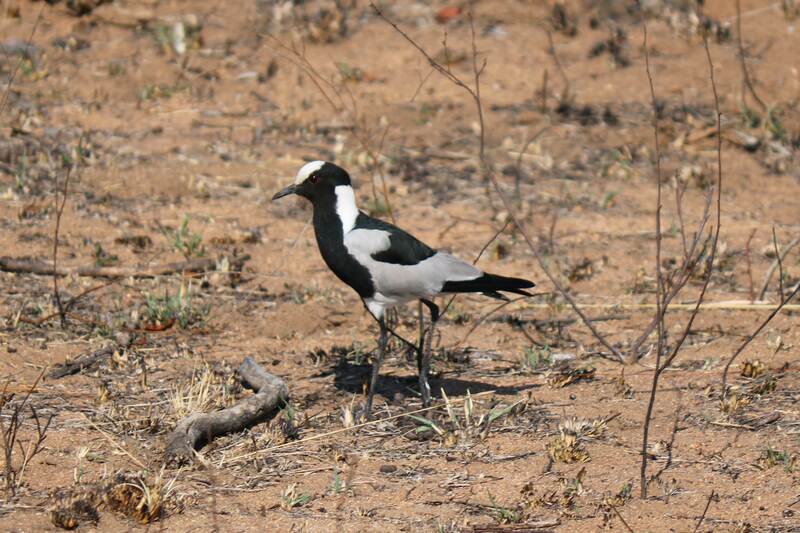 funnily enough i just saw on tv today the roller (national bird of kenya), the lapwing, and the ground hornbill. Ground hornbills are among my favorite birds. They’ve been half-seriously proposed as an ecological model for azhdarchid pterosaurs. 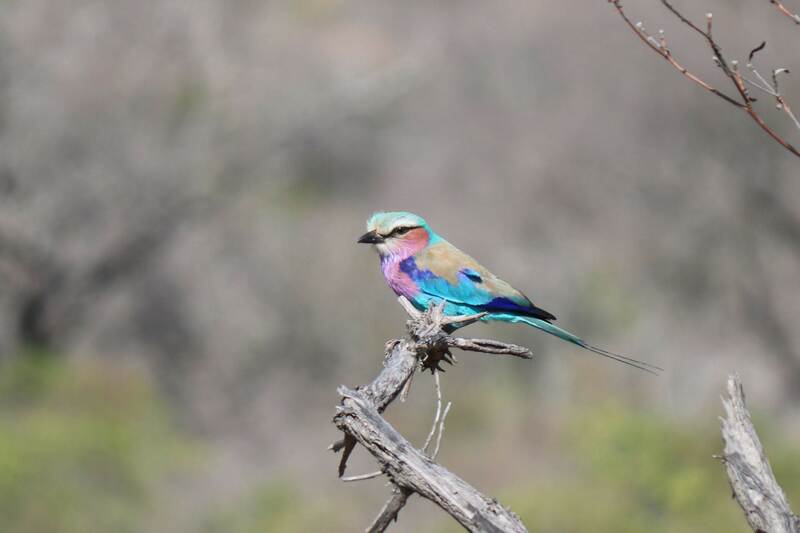 The “rainbow coloured bird” looks like a Lilac-breasted roller (Coracias caudatus). Great pictures! What an adventure that must have been. One of the great things about travel is seeing new species. Great photos, thanks for sharing. These are really neat birds. A nice set of pics. 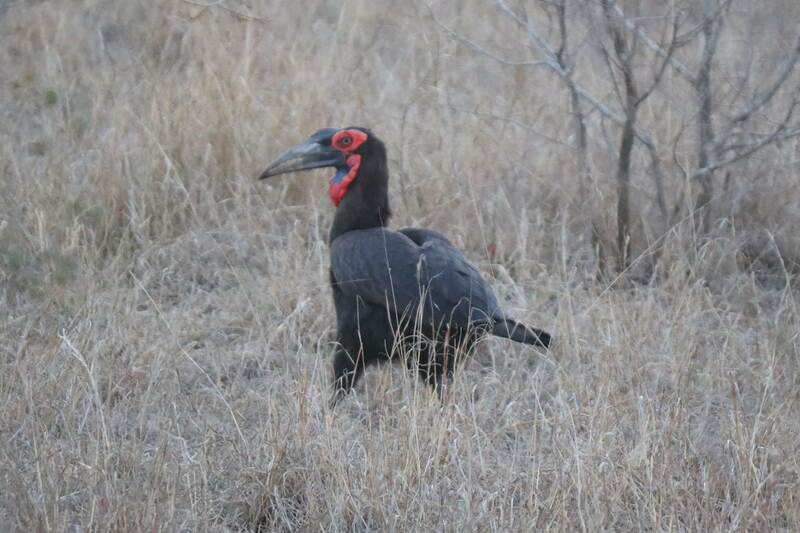 I’m amused to see the Southern Ground Hornbill with that beady eye staring out of a gob of read skin. “Hey you! With the camera. Why don’t you mind your own bees wax”. A very delightful set of African birds. 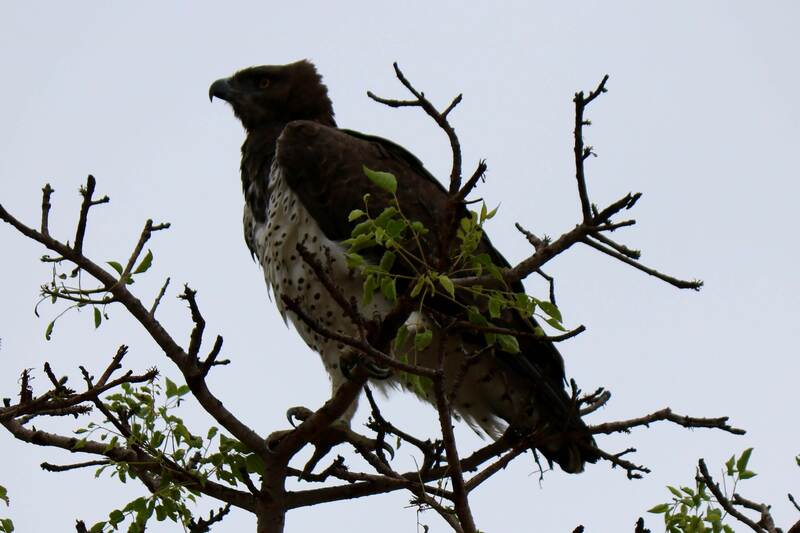 Loved the profile of the Martial Eagle (thanks Mathieu above for the names). Bravo to both the photographer and readers who identified the species! My favorites: the fish eagles and the blacksmith. Thank you all for the bird identifications and compliments on the photos! It was a great trip.